Another environmental summer camp entitled “Return of bison to our nature!” was held on July 4-6 within the “Reintroduction of Bison in Azerbaijan” program, IDEA Public Association informed on July 7. 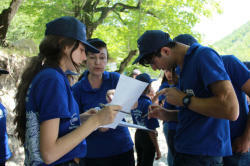 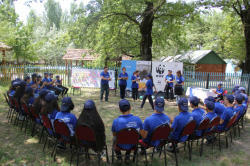 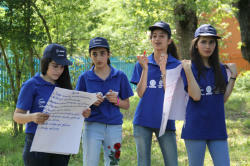 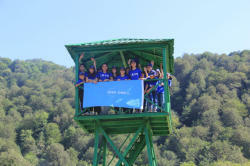 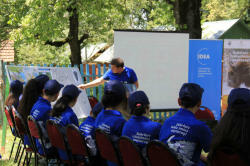 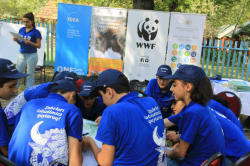 The camp was organized by IDEA, Azerbaijan Youth Foundation, Education Ministry and the World Wildlife Fund (WWF) in Azerbaijan with the support of the executive power of Ismayilli region. 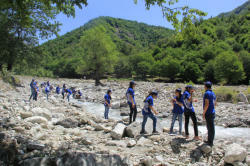 The environmental summer camp was attended by about 60 students from Talistan, Gulyan, Topchu, Tirjana, Keyvandi and other villages of Ismayilli. 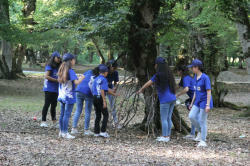 The main purpose of the camp was to inform students about the importance of reintroduction of bison into their historical habitats, as well as educational work to form children’s love for nature. 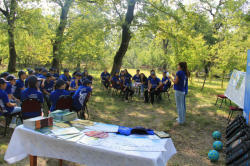 On the first day of the camp, a seminar was organized, in which the participants were provided with extensive information about the lifestyle and habitat of the bison. 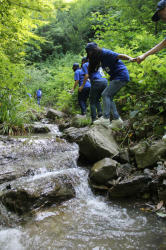 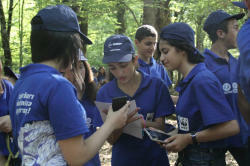 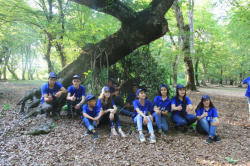 Students also participated in various environmental studies and competitions. 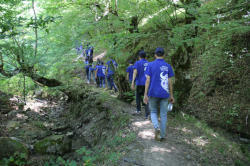 On the second day, they visited the Shahdag National Park in the Ismayilli region. 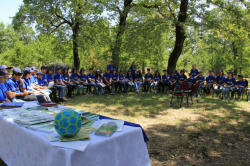 During the excursion, children visited the complex being built in connection with the reintroduction of bison. 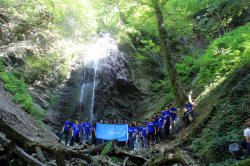 On the third day of the camp, an excursion to Gulan waterfall was organized. 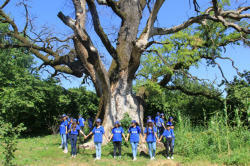 Students took part in the collection and sorting of waste, and then visited the Topchu village, where an 800-years-old oak is located. 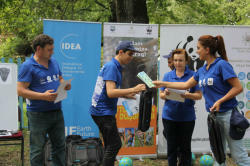 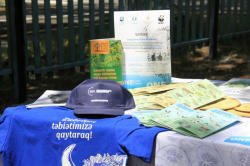 In conclusion, the participants of the environmental summer camp were awarded certificates and gifts. 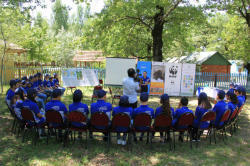 It is noteworthy that the last bisons were observed on the slopes of the Caucasus mountains at the end of the last century. 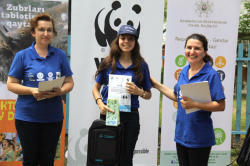 Due to the inefficient management of the population, this species has almost ceased to exist in Azerbaijan. 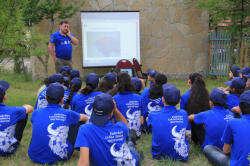 After a research conducted in recent years by leading scientists of the region and the world, it was found that the rich nature of Azerbaijan is favorable for bison, and a decision was made to implement a project to increase and preserve the population of these animals in the country. 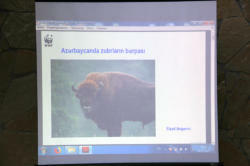 The Ministry of Ecology and Natural Resources of Azerbaijan, IDEA Public Association and WWF representative office in the country, on the initiative of Leyla Aliyeva, the Vice-President of the Heydar Aliyev Foundation and founder and head of IDEA, are currently implementing a joint project to reintroduce bison into their historical habitats. 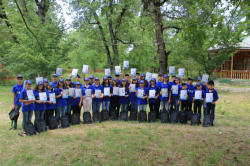 The project provides for the reproduction of bison in the territory of the Shahdag National Park and their release to nature. 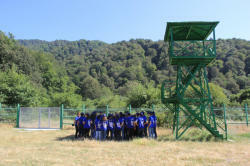 For this purpose, a complex of light construction is being built on the territory near the national park.